These 15 colorful stickering puzzles will bring hours of enjoyment to everyone. Each puzzle consists of a tessellated grid that includes a few clues to get you started, along with up to 100 reusable stickers to complete the design. When the last sticker is placed, you'll have a beautiful glossy art poster that can be framed on the wall. 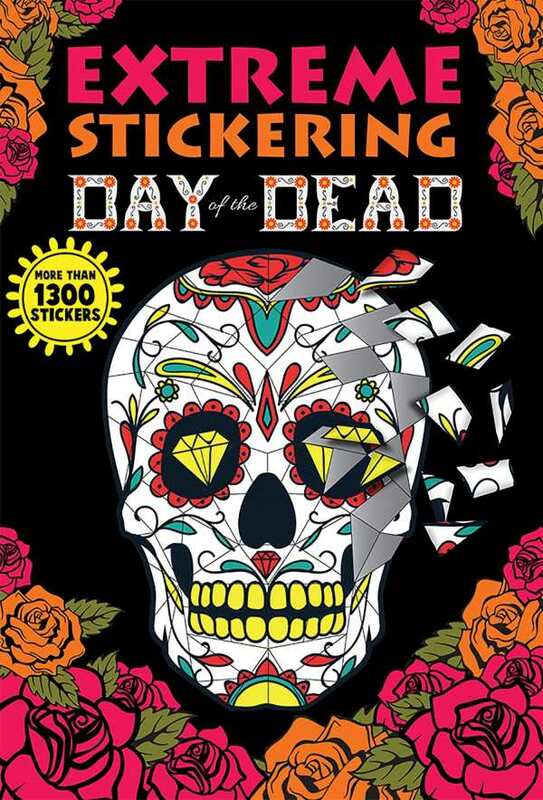 Images include decorative skulls, flower patterns, and other designs associated with the Day of the Dead.